NEW BEDFORD, Mass. – Southcoast Health announced today that it is just the third hospital in New England to offer a surgical implant that will allow certain atrial fibrillation patients to stop taking blood thinning medications that are currently used to prevent stroke. Thousands of patients in the region stand to benefit from this new procedure. 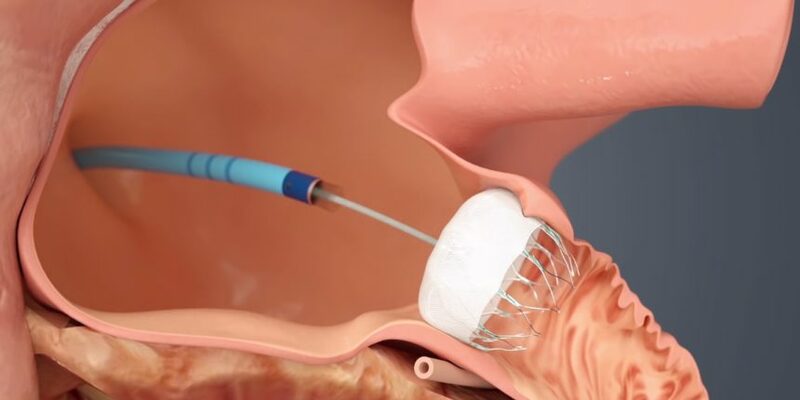 The newly approved Watchman Left Atrial Appendage Closure (LAAC) Device, from Boston Scientific, reduces the risk of stroke in atrial fibrillation (AFib) patients by preventing the heart from producing blood clots. A heart with AFib beats irregularly and as a result can produce clots, which is why doctors prescribe blood thinning drugs such as Coumadin or Warfarin. “Patients who undergo a procedure to implant Watchman have a much lower risk of major strokes related to bleeding and also had significantly lower mortality at long-term follow up when compared to Coumadin therapy for stroke reduction with atrial fibrillation,” said Dr. Nitesh Sood, electrophysiologist at Southcoast Health. The procedure will benefit patients with non-valvular AFib who prefer a non-drug alternative to blood thinners. They can include individuals who take part in sports or other activities that carry the risk of injury and thus excessive bleeding. Lahey Hospital & Medical Center in Burlington, Mass. and Catholic Medical Center in Manchester, N.H. are the only other hospitals in New England to offer the treatment. Watchman is not currently available at any facility in Boston or Rhode Island. The Watchman Device closes off an area of the heart called the left atrial appendage (LAA) to keep harmful blood clots from the LAA from entering the blood stream and potentially causing a stroke. By closing off the LAA, the risk of stroke is reduced, and over a span of about three months on average, patients are able to stop taking blood thinners such as Warfarin or Coumadin. “The big advantage is if the procedure goes well, you have the ability of getting someone off blood thinners and reducing their risk of stroke,” said Dr. Adam Saltzman, cardiologist at Southcoast Health. Implanting the Watchman Device is a one-time, minimally-invasive procedure that usually lasts about an hour. Following the procedure, patients typically stay in the hospital for 24 hours. “The successful launch of the Watchman program at Southcoast was made possible through the coordinated efforts of the electrophysiology program, the anesthesia program, the CCU/CVICU staff, our cardiothoracic surgery program, and the structural heart program,” said Dr. Margaret Ferrell, Physician-in-Chief of Cardiovascular Services at Southcoast Health. The device was approved by the FDA in March, but has been available internationally since 2009. As of March, more than 10,000 patients worldwide had been implanted with the device. The approval was based on a clinical trial program that included more than 2,400 patients. The studies showed the device reduced the risk of stroke. A meta-analysis of the randomized studies found patients who received the device had reductions in hemorrhagic stroke, disabling stroke and cardiovascular death compared with the warfarin group.